Venom is a fantastic start to a new run, the first issue is creepy, thrilling, well paced, visually beautiful and an all around damn good read. 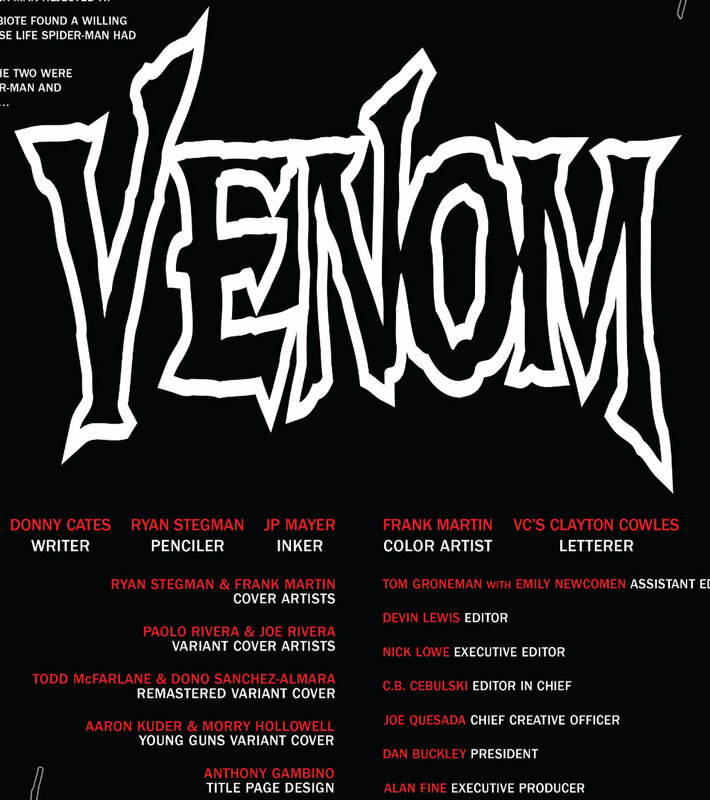 Writer Donny Cates sets up a lot of new exciting ideas for the symbiotes that haven’t been explored before and could end up being really cool if played out right. The issue begins with a nightmare from the symbiote that is shared to Eddie Brock as well ( did you know symbiotes could have nightmares? Well apparently neither did Venom). After that Venom takes off after learning that Jack O Lantern is starting trouble. This is where we learn the symbiote has been acting off lately so Brock calls the cops to Jack O Lantern where, of course, things go wrong and Brock must turn into Venom. Then we get a horrific shot of a possessed Venom who seemingly kills Jack O Lantern but is then stopped by a mysterious man. The man then informs Brock that the government used symbiotes on an elite government task team but tried to dispose of them when the men became too possessed by the symbiotes and he wants Eddie Brock’s help to rescue them.